Our high quality tanks are used for lots of diverse cleaning applications in many different industries Including : Garage & Automotive, Doctors, Dentists, Vets, Tattooists, Restoration, Diving, Pharmaceuticals, Electronics and more! Allendale-Ultrasonic was established in 2003 and during that time we have sold thousands of ultrasonic hardware to many customers around the world. We are based in South East of England and we supply both throughout the UK and Internationally. We make sure that all our products are thoroughly tested so that we can ensure that your product is top quality. 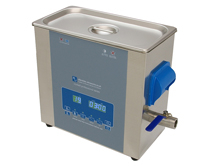 We sell a huge variety of ultrasonics such as the cost effective budget range and the Extra Large range. Whatever you need, we are sure that you will find what you are looking for.